History tells us many things – battles fought, lands lost or gained, it mentions titles, deeds and marriage contracts but very rarely does it tell us anything about the humans affected by those facts. When it comes to women the information gets even scarcer. Their right to lands and titles, their children, their deaths might play a part when it influenced the lives of men in the Middle Ages. But who thought about their hopes, dreams and wishes, their fears and desires. What we see today is what is left, churches and graveyards are great markers of human fate and desire, strange as it may be, because they can preserve the stories of people long gone, men mostly because their hopes, dreams and desires resulted in action when they had enough power. 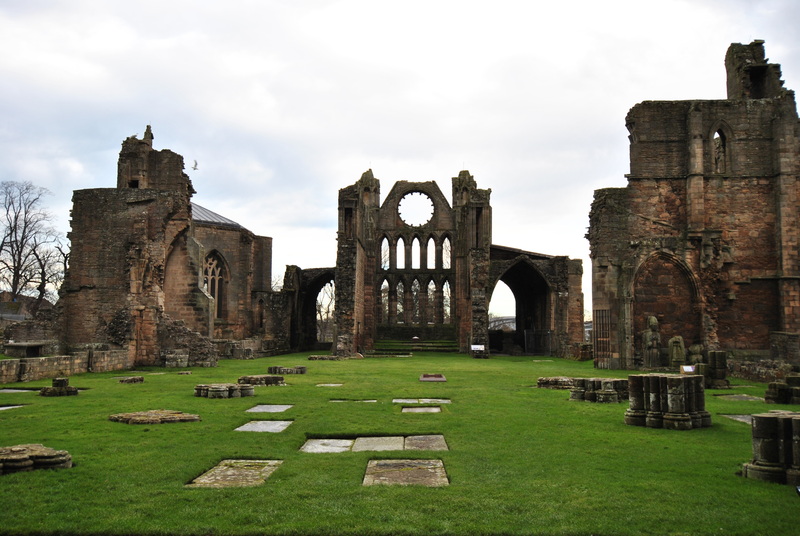 Elgin Cathedral for example, burnt down (as was most of the town itself, and Forres and the Abbey in Pluscarden) by Alexander Stewart, 1st Earl of Buchan. A well known historical fact, it happened 17th June 1390. Reason is also given in most sources – the Earl of Buchan’s hatred for Bishop Alexander Bur. Looking at the devastation he brought, his hatred must have known no bounds. Of course it was a power struggle; influence, wealth, anger, it was all there. They named him the Wolf of Badenoch for his cruelty and ruthlessness. …the perpetrator was Alexander Stewart, the Earl of Buchan. 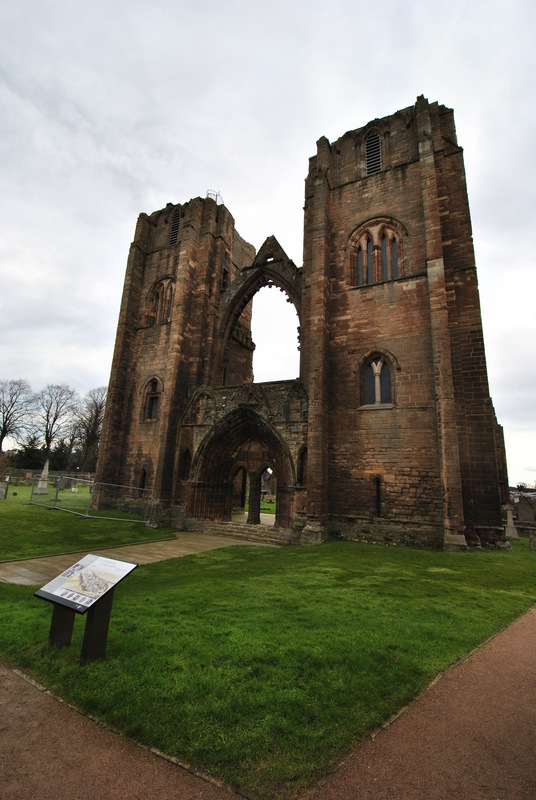 The reason commonly given for the fury directed at Elgin and its cathedral by the Earl of Buchan is that he fell out with the Bishop of Moray. It seems, however, that the attack came after a prolonged period of setbacks for the Earl, who had a short fuse – and a handy supply of tinder. 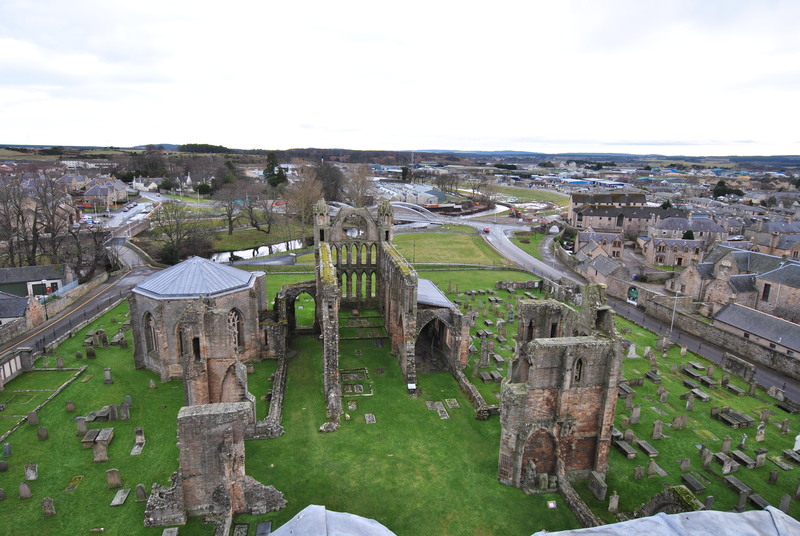 The Wolf of Badenoch was 47 years old at the time he destroyed Elgin cathedral. 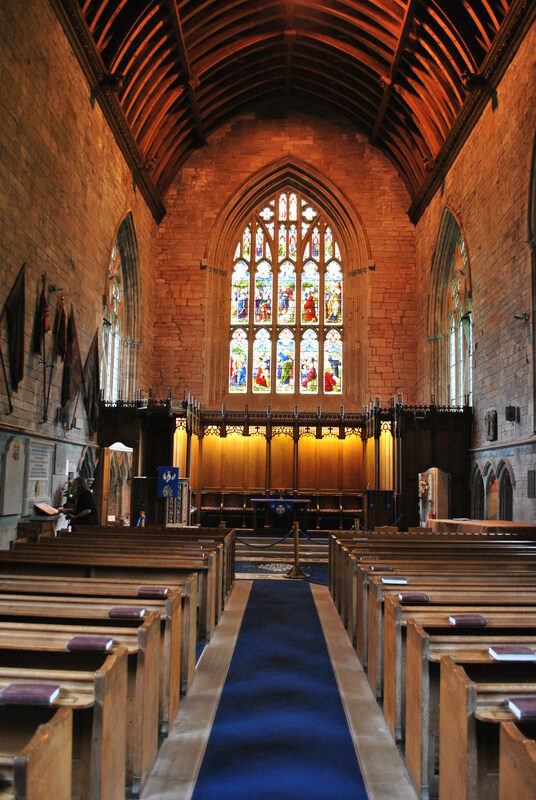 He lived for another 15 years and was buried in Dunkeld cathedral. His effigy is still there. Was he just an utterly evil human being or is there maybe more to the story? No one is one-dimensional. His wife, the rich Euphemia, Countess of Ross, had been a widow, when he married her but they never had any offspring. They had no children: a fact that Alexander blamed on his wife (and, to be fair, as he was by then well on his way to fathering his total of around 40 illegitimate children by a large number of different women, he was probably right. The Earl of Buchan had 7 children with his mistress who was either Mairead, daughter of Eachann or Mariota, daughter of Iye Mackaye, a woman of some standing and connections. He also seems to have been on good terms with her family. His wish to divorce his wife was obvious but not granted. On the contrary. Bishop Bur took Euphemia’s side and ordered “The Wolf” to return to the wife he had left a long time ago. This he did not like. Who would? His wife finally managed to get the union annulled two years later. Alexander Stewart was a son of a king an illegitimate himself until his father, the future King Robert II, married his mother Elisabeth Mure of Rowallan and therefore legitimized his son at the age of six. The Wolf presumably knew what it meant to be born out of wedlock. He obviously led a testosterone fuelled life but fathering 7 children says enough about his feelings for this woman, the mother of his children. An attraction that lasted more than 7 years sounds very much like love and he would not accept obstacles concerning this union either. As a matter of pride, necessity and feeling. He can’t have been cruel and cold throughout. The Wolf must have had a soft spot. His known character traits: A wolf who fought fiercely, without mercy, an intelligent opponent who hunted with endurance and feared no one. 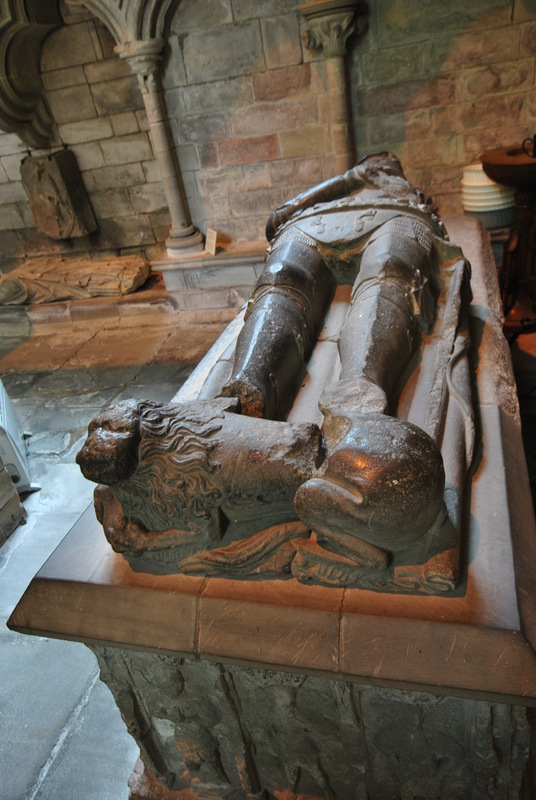 …the Wolf of Badenoch, who, according to legend, died after he lost a game of chess with the devil. He was buried in Dunkeld Cathedral. The Wolf of Badenoch was a dangerous man who apparently fascinated a large number of women, his wild passions larger than life. 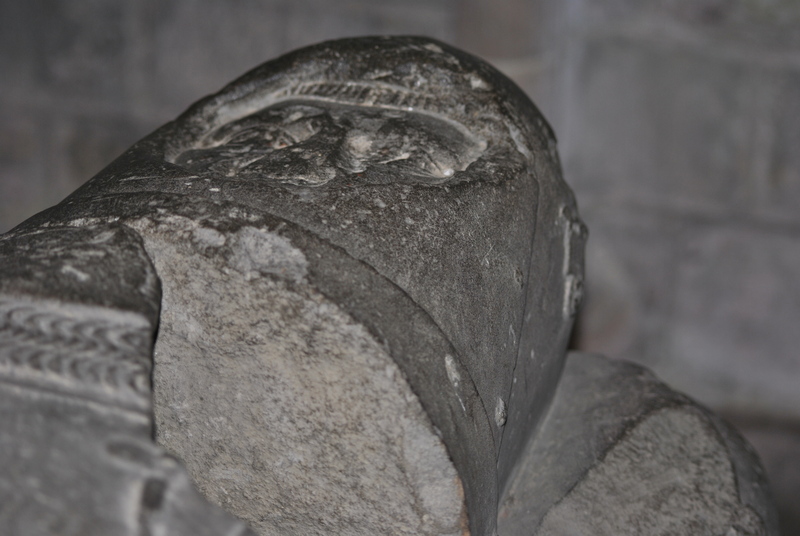 His grave in Dunkeld Cathedral tells more than one story.